Ian Stanley Crerar (born June 19, 1965 and therefore a lot younger that Roger) is a Canadian race and rally car driver, entrepreneur and philanthropist. He began his racing career on the water in power boat racing in the FE class. In 2003 he won the novice class at the Snowy Safari navigational rally in Ontario. [ Later moving to performance rally in the Canadian Rally Championship, gaining a second place in the P1 class in a Suzuki Swift in the 2005 Rallye Perce Neige in Maniwaki, Quebec. In a 1977 Porsche 911, Ian came second in Group 5 in the Canadian Association of Rally Sport (CARS) series for 2006. In 2013 Crerar converted the 1982 Porsche rally car into a vintage road racing car to campaign at Vintage Automobile Racing Association of Canada (VARAC) events. Crerar then built a 2001 Porsche 911 Turbo and ran it in the Canadian Touring Car Championship series in 2014 and 2015. In 2015 Crerar won the Grand Touring Championship. In 2017 he campaigned the 2001 911 Turbo to win the CASC-OR GT Challenge endurance racing overall championship with co-drivers Guy Tremblay and Andrew Comrie-Picard. Also in 2017 he won the VARAC Classic overall championship in his vintage 1989 Porsche 911. 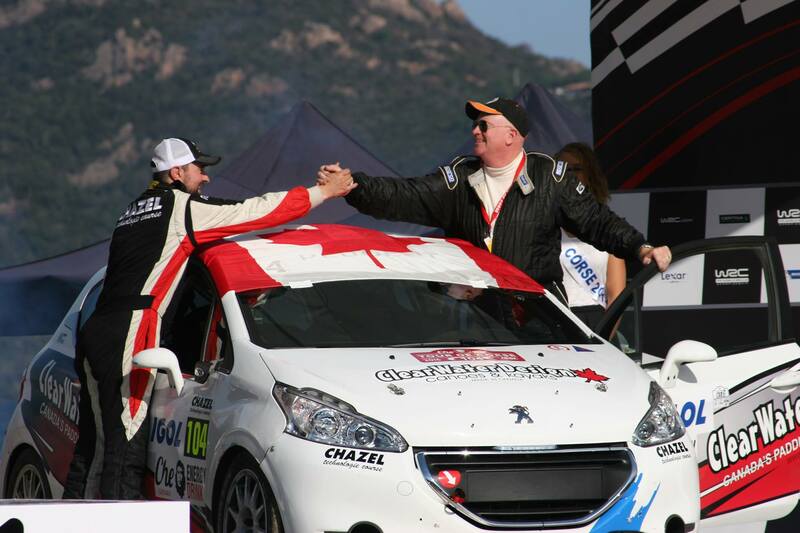 Driving a rented Peugeot 208 R2 in the RC4 class at the World Rally Championship Che Guevera Energy Drink Tour de Corse in Corsica in 2016 with co-driver and fellow Canadian Patrick Levesque, he placed 3rd in class. In 2017 the pair competed in the WRC Rallye Automobile de Monte-Carlo, in the same car, finishing 13th in RC4.